ZTE is a well-known Chinese brand, and the company makes products related to wireless, exchange, access, optical transmission, and data telecommunications gear; mobile phones; and telecommunications software. You might be well aware of the brand named ‘Nubia’. FYI, it is also a Subsidiary of ZTE. Recently, the company launched Axon M which is a foldable (kind of) smartphone with two displays. 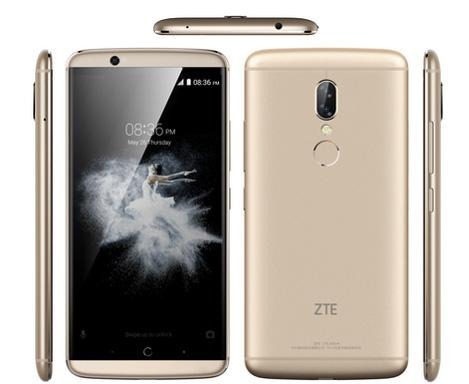 Last year, the company launched ZTE Axon 7 which was named the ‘The Best Value And Sounding Smartphone In The World‘ by Forbes. The phone was a big hit and seems like a successor is coming soon since the company has confirmed this via its official Twitter handle. Well, the Axon 7 was made available last year for $400 in the US. What are your expectations with the successor of the ZTE Axon 7? We hope to see 18:9 display, faster processor, bigger battery and better sound output. This will surely result in a great flagship device. There are no details about the upcoming phone yet so stay tuned.